Are you looking for fun and entertaining rainy day activities for kids? These 27 rainy day activities are not only fun, but are educational as well! While most of the country is playing outside now that summer is finally here, here in southwest Florida we are beginning our rainy season! This is the time of year that if it’s not too hot to play outside, that means it’s raining! And, rainy days do not have to be boring! 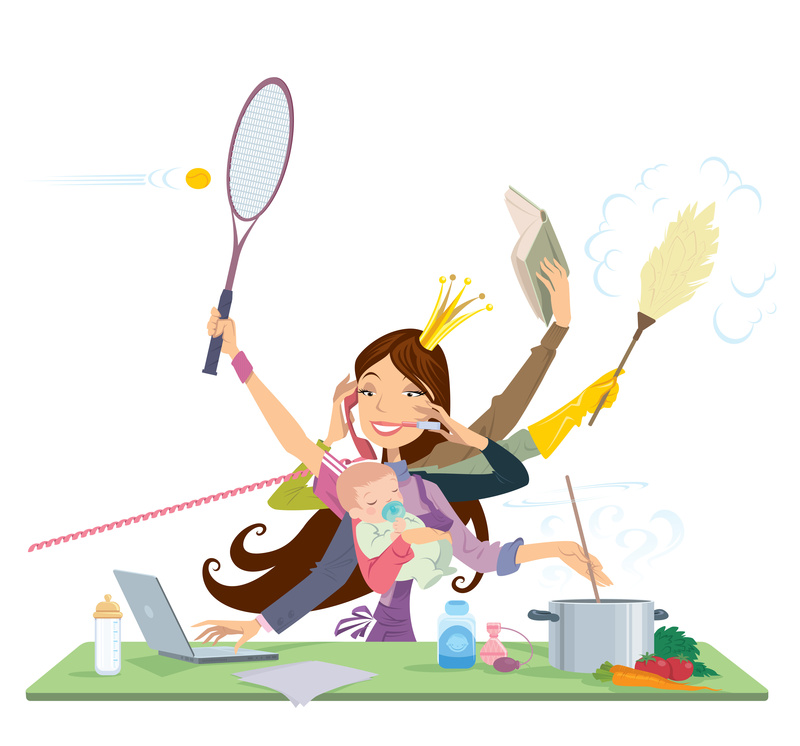 There are so many different fun activities that can be played indoors! Indoor hopscotch, what a great idea! Take a game that is typically played outdoors and bring it inside. This rainy day activity is one that you can make and use over and over again! 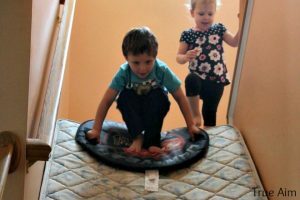 Find out how to make indoor hopscotch at Happy Hooligans. Perler beads are a great rainy day activity! Minecraft perler beads are especially fun, and are a great way for your kids to enjoy Minecraft without actually spending their whole rainy day sucked into a video game! 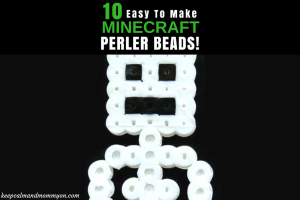 Find out how to make Minecraft perler beads here. When the rain comes and ruins outdoor fun, bring the fun inside! An indoor picnic can be just as fun as an outdoor picnic. 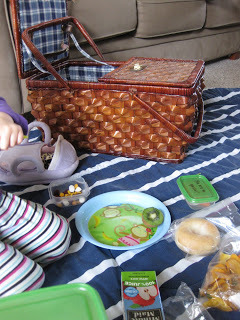 Find out what you need to make your indoor picnic special at Teach Mama. Finger painting is an excellent rainy day activity! 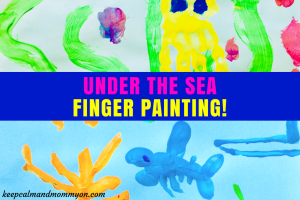 This under the sea finger painting craft is lots of fun for all ages! Find out how to make this fun under the sea craft here. 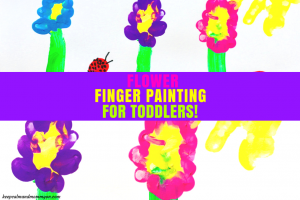 While you have the finger paints out be sure to make this super cute flower finger painting craft! 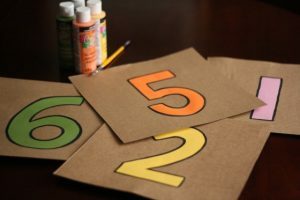 This is a great craft for Toddlers and Preschoolers. Find out how to make this flower art project here. When I was a kid we used to love making our own instruments! 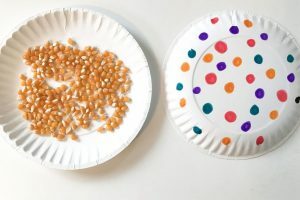 Find out how to make these paper plate instruments at The Chirping Moms. Why not turn rainy day activities into learning experiences as well? 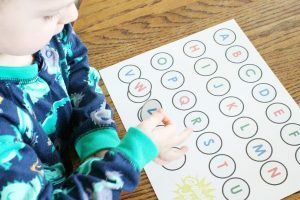 This mailing letters alphabet game is a great way to teach your toddler and preschooler letters while having fun! 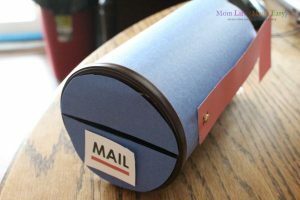 Find out how to make this super cute game and mailbox at Mom Life Made Easy. 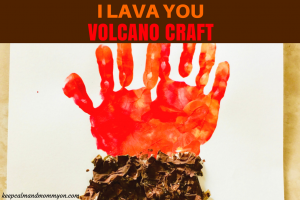 The “I Lava You” volcano craft is one of my favorites! And a great art project for a rainy day! Find out how to make this super cute volcano craft here. 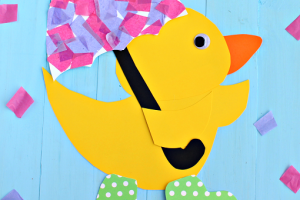 Another rainy day art project that your kids will love! Find out how to make this rainy day activity at Crafty Morning. Another fun and creative perler bead activity! 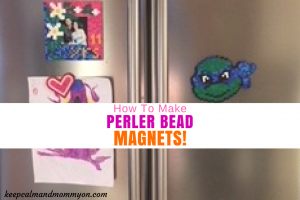 Find out how to make fun perler bead magnets here. Who says that all rainy day fun has to be indoors? Once the rain has passed, or as long as it is not lightening, venture outside to have fun painting with mud! 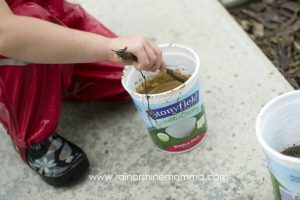 Find out how to make painting with mud fun for your child at Rain or Shine Mamma. Find out how to make this easy DIY pencil holder here. These paper fliers require items that you probably already have on hand. Paper fliers are a great activity for a rainy day! Your kids will have so much fun making and playing with these! 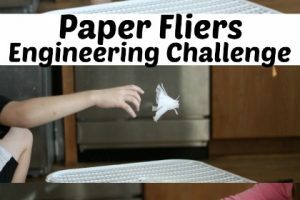 Find out how to make paper fliers at Science Kiddo. Board games are the ultimate rainy day activity! 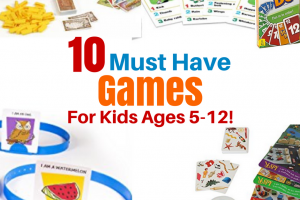 Find out what the best board games for ages 5-12 are here! Let’s not forget younger kids! Board games are a fun rainy day activity for all ages. 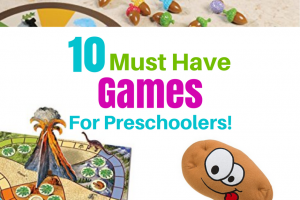 Find out what the best games for toddlers and preschoolers are here. This is a very simple activity that will keep your toddler entertained for hours! 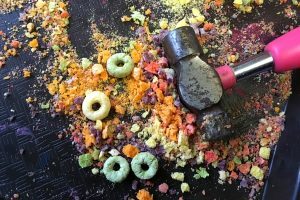 Find out how to turn a box of cereal into a fun rainy day activity at Everyday Chaos and Calm. 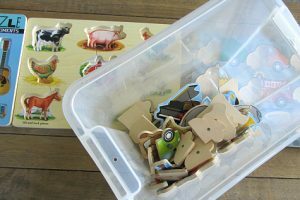 Puzzles are fun, but take the fun up a notch with this puzzle hunt game! This is a great rainy day activity to keep your kids moving and entertained! Find out how to play this fun game at No Time For Flash Cards. When I saw this rainy day activity I knew that it needed to be included on this list! This is definitely an activity that would keep my kids entertained for hours. 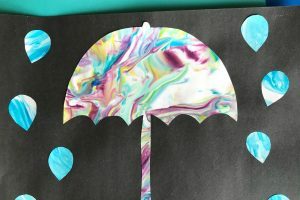 Find out how to create this fun indoor rainy day activity at True Aim. 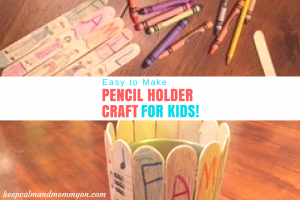 Popsicle stick crafts are a great rainy day activity! 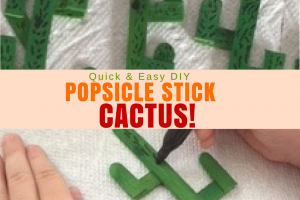 These cactus popsicle stick crafts are fun for kids of all ages and are great to use in imaginative play once they are made. We use them in our Desert Sensory Bin. Find out how to make popsicle stick cactuses here. Who says that rainy day activities can’t be edible?! 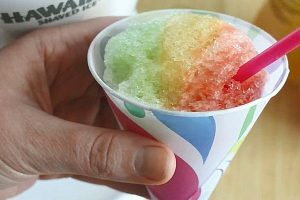 These snow cones are made with natural coloring for a fun and safe rainy day treat! Find out how to make this snow cone syrup at A Modern Homestead. Play-doh is another great rainy day activity. But what do you do when you pull out your play-doh for some rainy day fun, and find that it’s all dried out?! 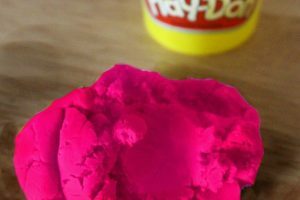 Find out how to easily rehydrate your play-doh at Mom Life Made Easy. This umbrella craft is very fitting for a rainy day. And how pretty is that colorful umbrella?! Find out how to make this rainy day umbrella at Teaching Mama. This is another great rainy day activity to make learning fun! Help your toddler learn their letters with this fun and quiet activity. This activity also comes with a free printable as well! Find out how to make this activity and get your free printable at Mom Life Made Easy. I love the idea of creating a rainy day box! What a great way to keep your child entertained when when they can’t play outdoors. 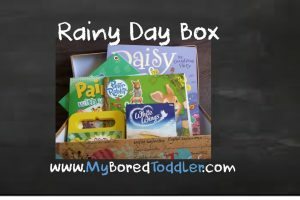 Find out exactly what you should include in a rainy day box at My Bored Toddler. This rainy day paper web is yet another great indoor activity! Kids of all ages will have fun with this. 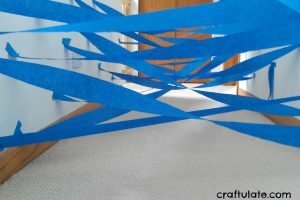 Find out how to make and play with a rainy day paper web at Craftulate. 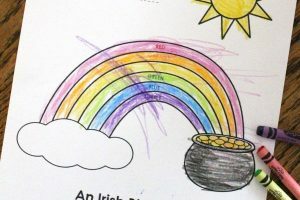 Get your free rainbow coloring page from Mom Life Made Easy. 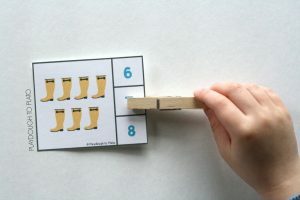 These rainy day clip cards are another great rainy day activity that is educational! Get your free rainy day clip cards from Play Dough To Plato. 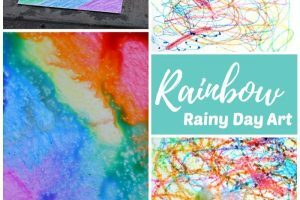 This rainbow art is perfect for a rainy day because you actually need rain to make it! Find out how to make this fun rainy day activity at Rhythms of Play. 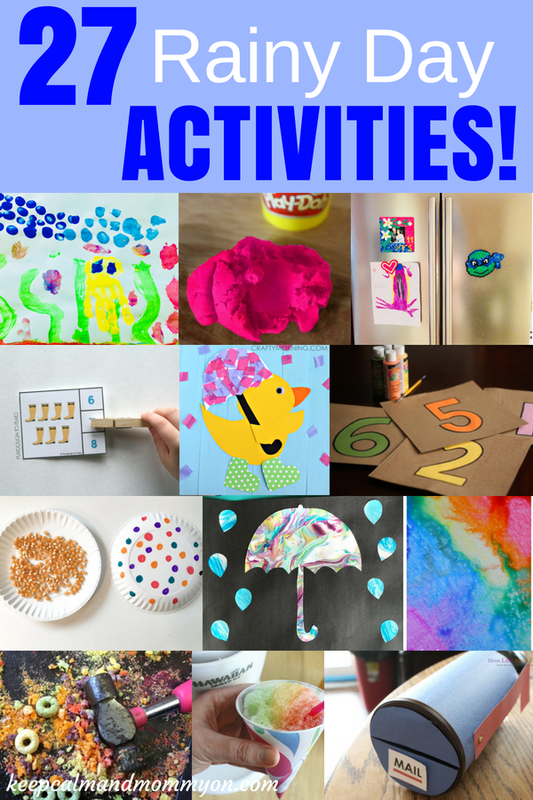 And those are 27 rainy day activities for kids! « 20 Fine Motor Skills Toys For Toddlers and Preschoolers!